I have mixed feelings about John Ford. 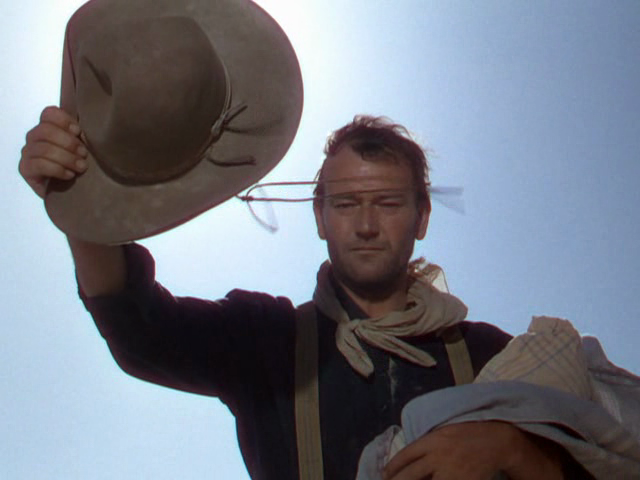 I absolutely love some of his films, and consider them masterpieces, but he also made a lot of films that I’m not crazy about even though every other classic film fan seems to revere them, like She Wore a Yellow Ribbon (1949). High expectations and the reverence of others can sometimes make a film tough to enjoy. I thought that She Wore a Yellow Ribbon was stunningly photographed, and I liked some of the performances, but overall I found it poorly paced, historically inaccurate, and unbearably sentimental. I also really didn’t like John Wayne’s performance. I love it when the Duke plays variations on himself, but whenever he plays a “character” I find it hard to watch. 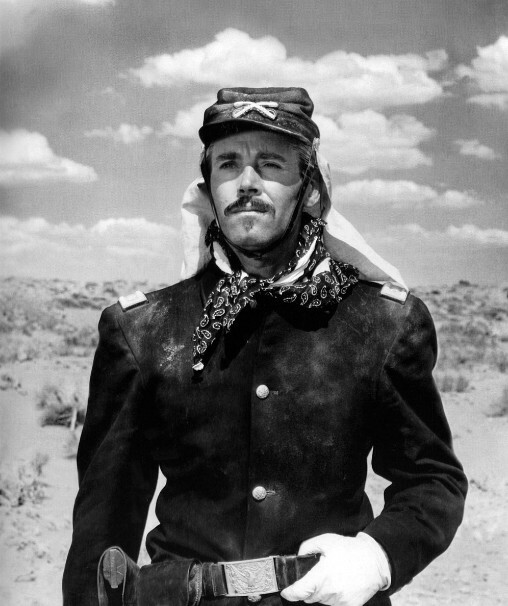 His role as Nathan Brittles in She Wore a Yellow Ribbon isn’t as bad as when he played Genghis Khan in The Conqueror (1956), but I still found his “old man” schtick disingenuous and poorly acted. 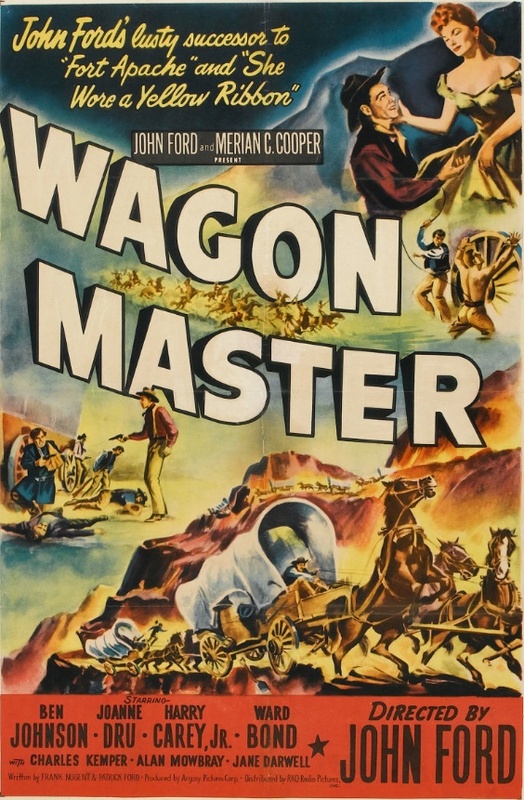 Wagon Master, on the other hand, is a film almost no one ever talks about. When I sat down to watch it, I had no expectations, nor anyone else’s reverence to contend with. 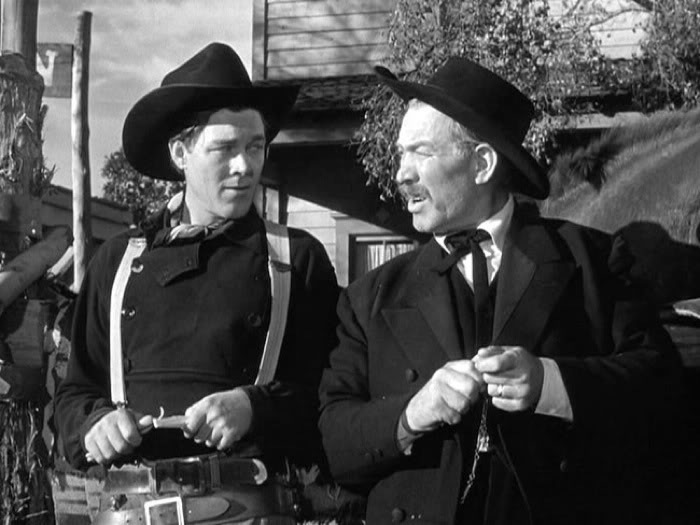 In Wagon Master, Ben Johnson and Harry Carey Jr., who both had supporting roles in She Wore a Yellow Ribbon, play a pair of horse traders named Travis and Sandy. They’re approached by a group of Mormons who are led by a recent convert to the faith, Elder Wiggs (Ward Bond), whose constant struggle to not use profanity is a running joke in the film. The group of Mormons are heading west through desolate stretches and need experienced range riders like Travis and Sandy to guide them. The Mormons plan to found a settlement and begin growing crops so a much larger group of their brethren will be able to join them in their promised land a year later. The range is full of dangers, including human ones, who come in the form of the murderous Clegg gang. They’re led by Uncle Shiloh Clegg (Charles Kemper). If you pay close attention you’ll spot future Gunsmoke star James Arness as another member of the gang, Floyd Clegg. The Clegg gang is menacing, but there are also friendly strangers who join the wagon train along their journey — a drunken snake-oil salesman named Dr. A. Locksley Hall (Alan Mowbray) and his two female companions, Fleuretty Phyffe (Ruth Clifford) and Denver (Joanne Dru). Perhaps if I were to proclaim Wagon Master a masterpiece, it would collapse under the weight of my approbation. But I thoroughly enjoyed it, and thought it was a beautifully made film that unfolds at a perfect pace. I especially enjoyed seeing Ben Johnson come into his own as an actor. The Oklahoma-born Johnson was a ranch hand and rodeo rider in real life, and he’s convincing and charismatic in this role. I liked his supporting role in She Wore a Yellow Ribbon, but he carries the film here, and emerges as a great western star. He has no false bravado or unrealistic heroics, and even decides against pulling his gun at several times when the audience might expect him to. Posted in 1950, April 1950 and tagged Alan Mowbray, Argosy Pictures, Ben Johnson, Charles Kemper, Harry Carey Jr., James Arness, Joanne Dru, John Ford, RKO Radio Pictures, Ruth Clifford, Ward Bond, Westerns. Bookmark the permalink. After making the western masterpiece Fort Apache (1948), director John Ford returned to the religious overtones of the movie he made right before Fort Apache, The Fugitive (1947). 3 Godfathers reimagines the biblical story of the three wise men as a story of three bank robbers from Texas who are fleeing a U.S. Marshal in the Arizona Territory. 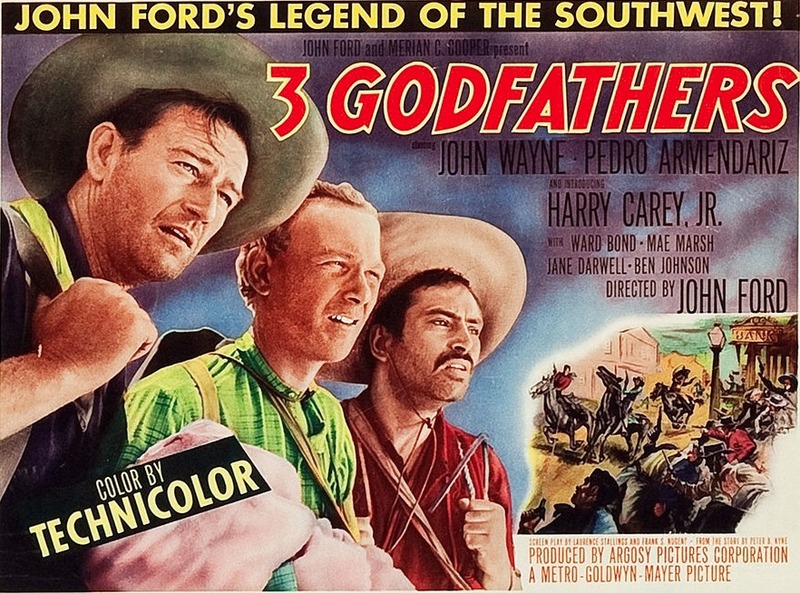 3 Godfathers stars John Wayne and Pedro Armendáriz, and “introduces” Harry Carey’s son, Harry Carey, Jr. I put “introduces” in quotation marks because he’d already had credited roles in several films, including Pursued (1947), Red River (1948), and Moonrise (1948). The three bank robbers are named Robert Marmaduke Hightower (John Wayne), William Kearney, a.k.a. “The Abilene Kid” (Harry Carey, Jr.), and Pedro “Pete” Roca Fuerte (Pedro Armendáriz). John Wayne’s drinking buddy, Ward Bond, plays the U.S. Marshal who pursues Robert, William, and Pedro after they rob a bank. Bond’s character is named Perley “Buck” Sweet, or “B. Sweet,” a name Robert finds hilarious. Marshal Sweet’s bearlike body and easygoing nature belie his craftiness. When he first pursues the bank robbers, he shoots a hole in their waterskin, then he sets up camp with his deputies at the spot he thinks they’ll have to circle back to in order to get water. Wandering through the desert, the three bank robbers find a dying woman (Mildred Natwick), who has just given birth to a baby. She tells them that they will be the boy’s godfathers, and she names her baby after the three of them — Robert William Pedro. There are tender moments, too, like the one in which Carey holds the baby and sings “Streets of Laredo” in a beautiful baritone. The religious aspects of the story are fairly explicit. The three godfathers follow a bright star in the sky toward the town of New Jerusalem, and they do so to the musical strains of “Away in a Manger” as the desert sands blow over the large wooden cross they’ve placed over the baby’s mother’s grave. They also use Bible verses as guides and portents in their journey. 3 Godfathers is based on Peter B. Kyne’s first novel, which was published in 1913. An immensely popular little work, The Three Godfathers was first filmed as The Three Godfathers (1916), a silent film directed by Edward LeSaint that starred Harry Carey. John Ford filmed the story as Marked Men (1919), again starring Carey. Ford made another version of the story called Action in 1921, William Wyler made a version called Hell’s Heroes in 1929, and Richard Boleslawski filmed a version called Three Godfathers in 1936. 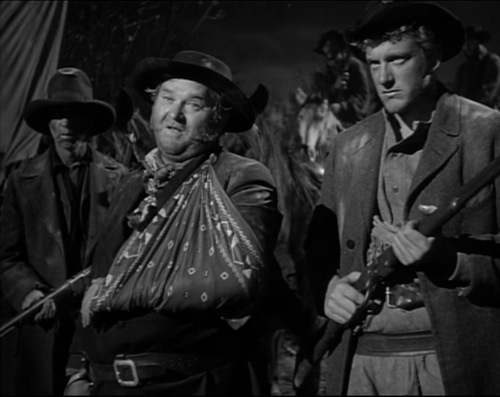 I’ll admit that John Ford’s appeal sometimes eludes me. I’m not nearly as in love with some of his masterpieces as others are. But while 3 Godfathers will probably never be counted as one of Ford’s masterpieces, I thought it was a well-crafted, emotionally satisfying film. It’s also the perfect choice if you love westerns and are looking for a good movie to watch around Christmas with your family. Posted in 1948, December 1948 and tagged Argosy Pictures, Ben Johnson, Harry Carey Jr., Holiday Films, John Ford, John Wayne, Metro-Goldwyn-Mayer, Pedro Armendáriz, Peter B. Kyne, Ward Bond, Westerns. Bookmark the permalink. Understand me, gentleman. I am not a martinet, but I do want to take pride in my command. We here have little chance for glory or advancement. While some of our brother officers are leading their well-publicized campaigns against the great Indian nations — the Sioux and the Cheyenne — we are asked to ward off the gnat stings and flea bites of a few cowardly digger Indians. This irony-laden speech by Lieutenant Colonel Owen Thursday (Henry Fonda) occurs early in the second reel of John Ford’s Fort Apache. It foreshadows the tragic and violent finale of the film, and firmly establishes what kind of man Thursday is. Not only is he the dictionary definition of a martinet, but his underestimation of the Apache will be fatal. Fonda’s performance in Fort Apache is remarkable. His character is so clearly in the wrong so much of the time that it would be easy for him to be a stock villain, but he never is. Fort Apache is a study in heroism and myth-making, and a story of how the messiness of real life will always end up either forgotten or completely remade. 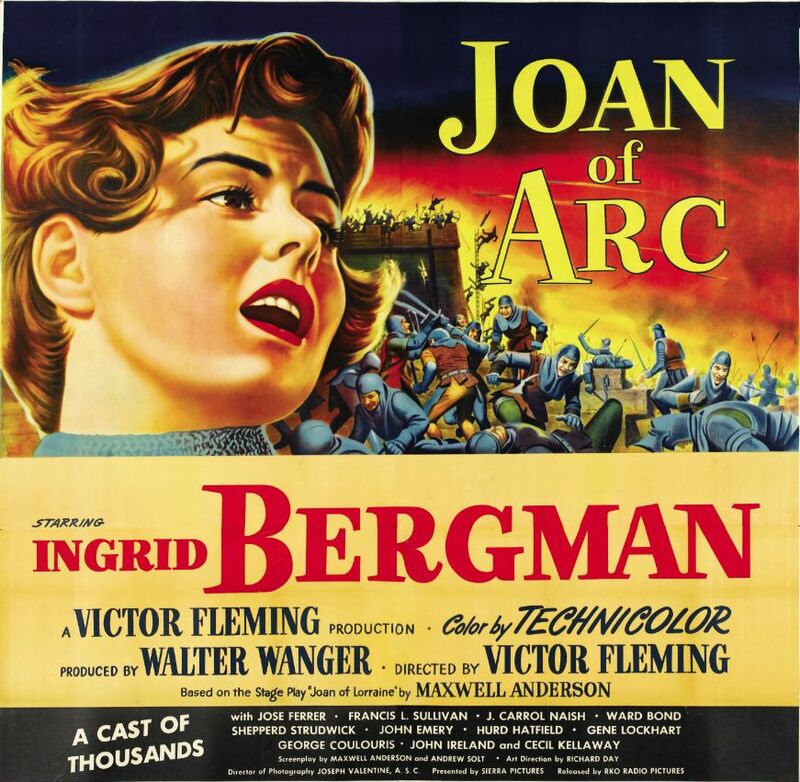 Of course, since it’s a film directed by John Ford, it’s also a film full of broad comedy, mawkish Irish sentimentalism, and lionizations of the common man. And no matter how much Ford ever deconstructed the idea of heroism and myth-making in any of his films, he couldn’t resist engaging in his own larger-than-life artistry. Just like My Darling Clementine (1946), Ford shot Fort Apache in Monument Valley because it looked good, not because it was where the real events of his story took place. Fort Apache isn’t a perfect film, but it’s damned close. It’s an excellent western, and a great film about the U.S. Cavalry that doesn’t paint the Apache as mindless savages. There are references to men tied to wagon wheels, roasted alive (off screen, of course), but Cochise and his warriors are never two-dimensional villains. Fonda and Wayne are the stars of the film, but they have excellent support from the rest of the cast, especially Ward Bond, who plays Sergeant Major Michael O’Rourke, and Pedro Armendáriz, who plays Sergeant Beaufort. 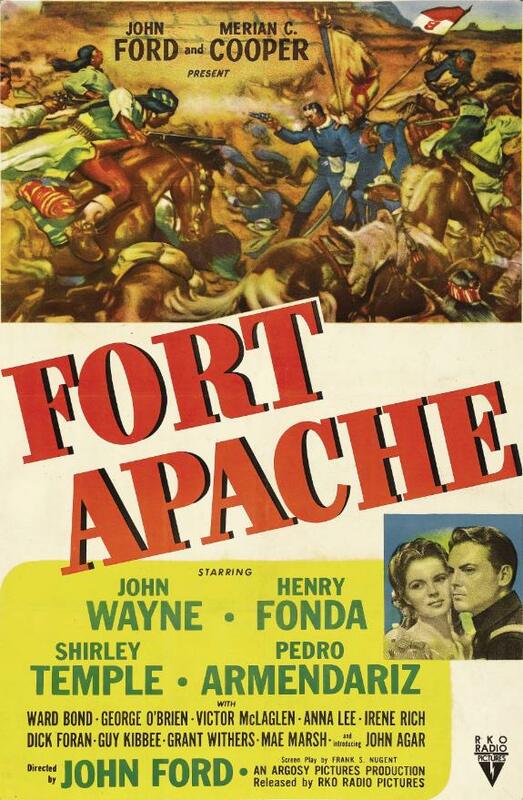 In terms of action, Fort Apache is stately and fetishistic. There are no real skirmishes that lead up to the final battle — as there would be in any picture made today — there is only the aftermath of Apache raiding parties. And in the charge that begins the final battle, the bugler is the first to be killed by Cochise and his men, putting an end to the stirring patriotic music, which is perfectly fitting. The final battle is accompanied only by Apache war whoops, gunshots, and the thunder of hoof beats. Posted in 1948, March 1948 and tagged Argosy Pictures, Henry Fonda, John Ford, John Wayne, Pedro Armendáriz, RKO Radio Pictures, Shirley Temple, Ward Bond, Westerns. Bookmark the permalink. Faith and religiosity are notoriously difficult things to depict on film. It’s easy to go too far in one direction — witness for instance, the brutal, mind-numbing literalism of Mel Gibson’s The Passion of the Christ (2004). Belief and faith are abstract things, and while cinema can suggest the abstract, it is still a visual medium. 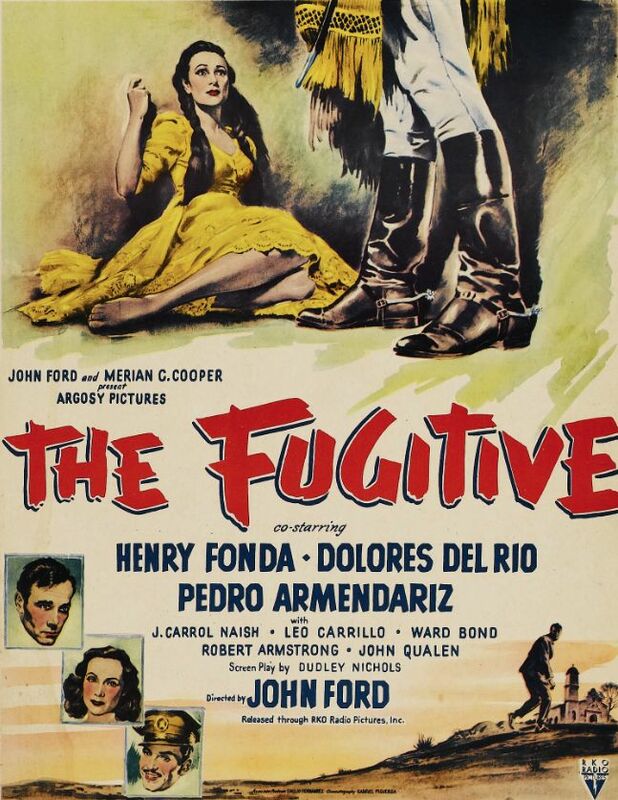 John Ford’s The Fugitive is rarely numbered among the director’s greatest achievements, but it was reportedly one of his personal favorites. It was filmed entirely in Mexico, and much of the crew was assembled from the Mexican film industry. In it, Henry Fonda plays a fugitive priest, on the run from the authorities after the church and its emissaries have been made illegal following a civil war. He’s a man whose faith appears to be broken — or at least in the process of being tested — but it’s difficult to really know, because Fonda’s performance is so blank-eyed and tentative that it’s hard to know what’s going on in his mind for most of the picture. Ironically, The Fugitive is a movie that is strongest when it is at its most heavy-handed. Graham Greene’s 1940 novel The Power and the Glory (also published as The Labyrinthine Ways) did actually take place in Mexico, but the filmmakers likely didn’t want to offend their host country with a story that was critical of the Mexican Revolution or any of its ramifications. Greene’s trip to Mexico in 1938 was ostensibly at the behest of the Vatican, who wanted him to document anti-Catholic violence and persecution. According to Greene’s friend, director Alberto Cavalcanti, whose lost autobiography was recently unearthed, Greene’s real reason for going to Mexico was to escape Temple’s lawyers. In any case, whatever narrative subtlety and moral complexity the novel had is not present in the film, which has little to offer in the way of ideas. I hesitate to call Henry Fonda “miscast,” because he’s usually such a wonderful performer, but he really is awful in The Fugitive. His facial expressions range from beatific to panicked, and that’s about it. The power of the film — and it is a powerful film, especially toward the end — comes from its visuals. Ford and his cinematographer, Gabriel Figueroa, crafted a beautiful-looking movie, full of nighttime shadows, murky light, and sun-drenched wide open spaces. The final sequence, which is an allegory for the crucifixion and resurrection, is achieved with very little dialogue, and is well-done, if a little obvious. Posted in 1947, November 1947 and tagged Argosy Pictures, Dolores del Rio, Graham Greene, Henry Fonda, J. Carrol Naish, John Ford, Pedro Armendáriz, RKO Radio Pictures, Ward Bond. Bookmark the permalink. 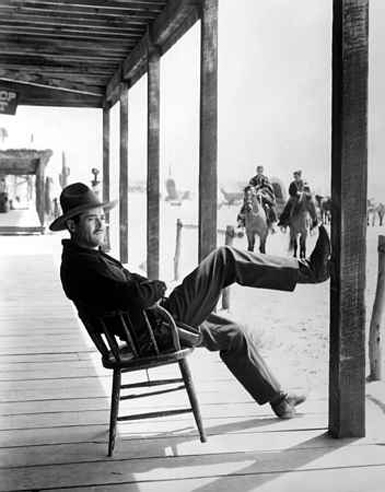 John Ford’s My Darling Clementine is one of the most lauded westerns of all time. 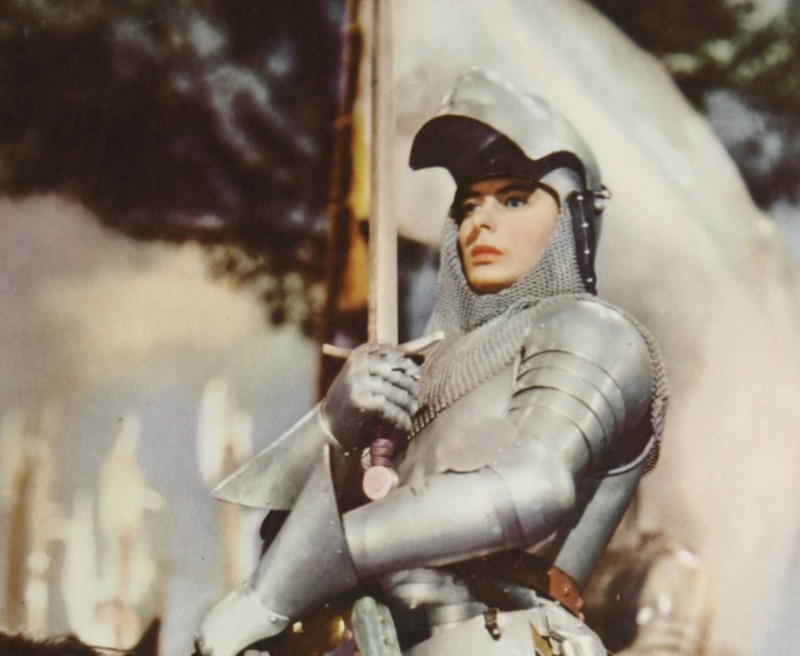 Most criticism of the film is directed at its numerous historical inaccuracies, not its artistic merits. The ages of the Earp brothers are changed, for what seems no discernible reason. Characters die in the film who didn’t die until decades later. The chain of events that led up to the shootout near the O.K. Corral in Tombstone, Arizona, in 1881 is highly fictionalized. In reality, Doc Holliday was a dentist, not a medical doctor. The list goes on and on. So to enjoy this film, it’s probably best not to watch it with a talkative history junkie. And if you yourself are a history junkie, try to ignore all the little details and appreciate this film for what it is — one of the great westerns, full of iconic scenes, memorable performances, finely staged action, and little moments that would be copied over and over again in westerns in the decades that followed. 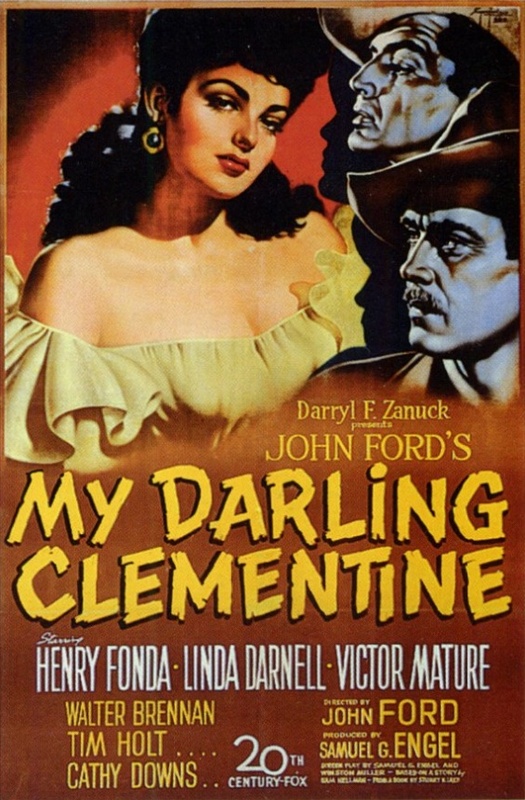 My Darling Clementine is a remake of Allan Dwan’s Frontier Marshal (1939), which starred Randolph Scott as Wyatt Earp. Both films are based on Stuart N. Lake’s book Wyatt Earp, Frontier Marshal, which was based on interviews with Earp, although most historians suspect that either Lake was embellishing or Earp was. Again, it really doesn’t matter when it comes to this film. The plot is not the important thing, it’s Ford’s evocation of a frontier town. The rhythms of life, the strong feeling of nighttime, daytime, daybreak — all are perfectly realized. It doesn’t matter that the real Tombstone isn’t anywhere near Monument Valley. Ford shot there because he liked the way it looked. Day for night shooting can look terribly fake, or just plain terrible, but in this film Ford makes it look beautiful. In one nighttime scene, Wyatt Earp appears on a rooftop, shot in low angle, firing his revolver at a man fleeing on horseback. Behind him is a dark sky full of silvery clouds. The scene clearly wasn’t filmed at night, but it’s still breathtaking. Henry Fonda’s performance as Wyatt Earp is one of the finest I’ve ever seen in a western. Protagonists in westerns tend to be stalwart men of few words, and Earp is no exception, but the humanity Fonda is able to express merely through his eyes is remarkable. Fonda generates absolute authority in every scene. Except, of course, when he’s with the pretty Clementine Carter (Cathy Downs). 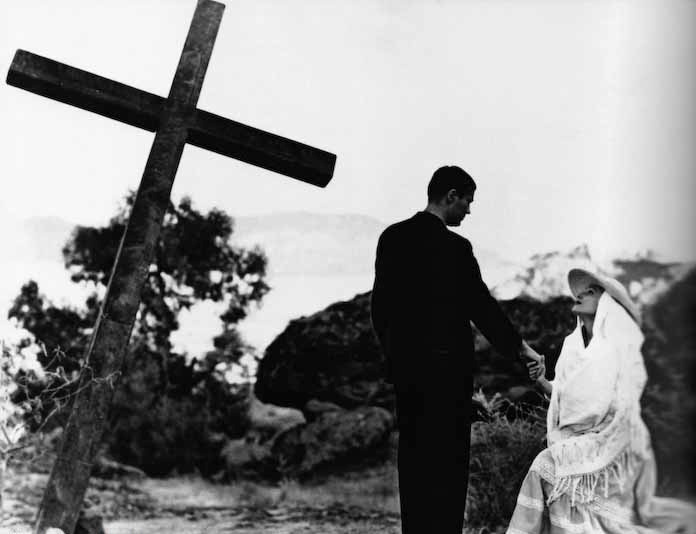 The scene in which he takes her to a Sunday dance at the site where the town’s church will be built is one of the highlights of the film. As Earp walks beside Clementine, the congregation sings “Shall We Gather at the River?” (later to be paid gruesome homage to by Sam Peckinpah when he made The Wild Bunch in 1969). 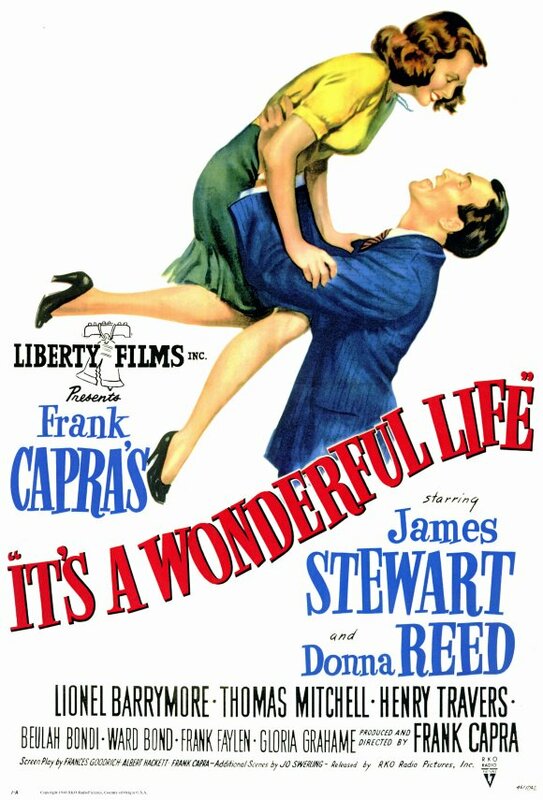 The budding romance between the two is palpable, and is a fine example of Fonda’s wonderful silent acting. I’m less bowled over by Victor Mature’s performance as Doc Holliday. The oily Mature seems to be in a different picture in most of his scenes, as he drinks to escape his past and romances the tragic prostitute Chihuahua (Linda Darnell). As I said, the liberties Ford takes with history are legion. But as Lawrence Kasdan’s Wyatt Earp (1994) showed, an accurate recitation of the facts doesn’t necessarily make for compelling drama. And who cares about the actual details of the shootout near the O.K. Corral when we have things in this film like Earp standing perfectly still as a stagecoach pulls in, then running to his left as soon as it kicks up a trail of dust, nearly invisible even to the viewer as he fires several shots and hits his target? Producer Daryl F. Zanuck notoriously tinkered with this film. He thought Ford’s original version was too long, so he had director Lloyd Bacon shoot some new footage, and then re-edited the film himself. While some of Ford’s lost footage has been unearthed, his original version is lost. Would it have been a better film? Possibly. Is the version we are left with still a great film, and one of the greatest American westerns? Absolutely. Posted in 1946, December 1946 and tagged 20th Century-Fox, Alan Mowbray, Cathy Downs, Charles Stevens, Cyril J. Mockridge, Darryl F. Zanuck, David Buttolph, Don Garner, Dorothy Spencer, Fred Libby, Grant Withers, Harry Woods, Henry Fonda, J. Farrell MacDonald, Jane Darwell, John Ford, John Ireland, Joseph MacDonald, Linda Darnell, Lloyd Bacon, Mickey Simpson, My Darling Clementine, Roy Roberts, Russell Simpson, Sam Hellman, Samuel G. Engel, Stuart N. Lake, Tim Holt, Victor Mature, Walter Brennan, Ward Bond, Westerns, Winston Miller, Wyatt Earp. Bookmark the permalink.